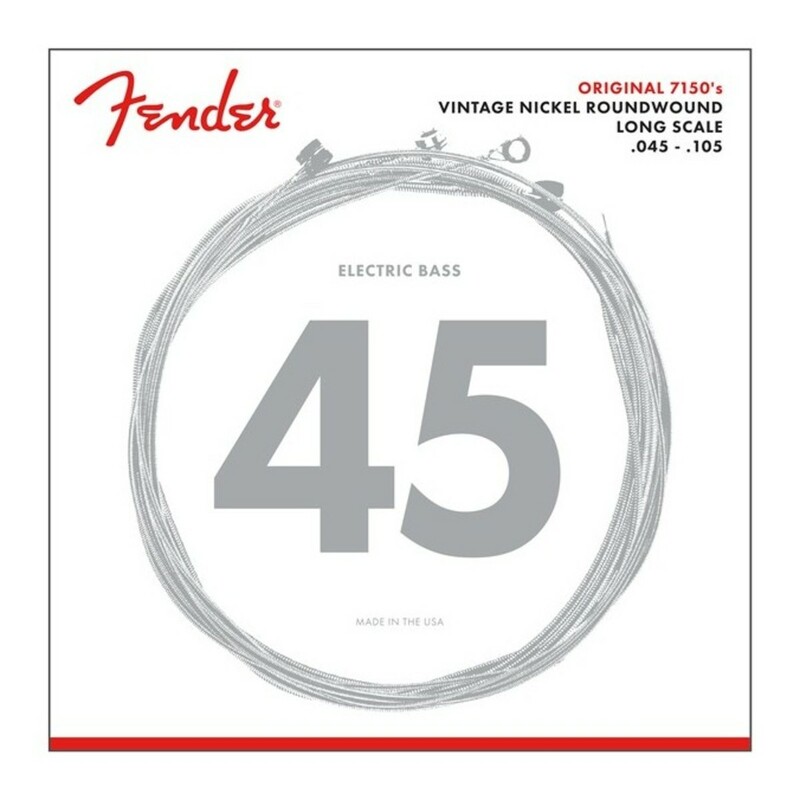 Fender Original 7150's Pure Nickel strings deliver a smooth feel with reduced finger noise. The tone is rich and warm with abundant harmonics, while still offering great clarity. These strings are perfect for blues, jazz, R&B and classic rock. These are the strings that started it all. Fender® Original Bass 7150's feature a smooth feel and vintage warmth that has become a Fender® tradition. Premium materials and state-of-the-art manufacturing result in the same string you've always loved, with greater quality and consistency than ever before. Fender String Construction: Pure Nickel Roundwound longscale. Tone Descriptor: Rich and warm, with abundant harmonics.